In 2013, while discussing about a member who suffered a diabetic coma, the staff and executives of GlobalHealth, a Health Maintenance Organization (HMO) realized that if all of the members’ data had been centrally managed, the outcome of the case would have been different. 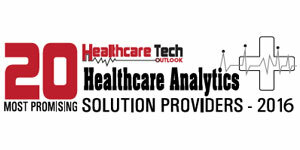 With a focused approach, the HMO began to search for an analytics engine, and chose VitreousHealth for its predictive and prescriptive analytical Insights-as-a-Service (IaaS). This first of its kind solution for healthcare, provides companies with access to predictive risk and prescriptive care management that provides them with a complete view into their population’s health. These insights achieve a patient-centric focus for each internal team within a healthcare organization that leads to quality health outcomes and improves financial performance. With VitreosHealth, GlobalHealth can now successfully predict nearly 70 percent of its hospital admissions and has seen a significant reduction in re-admissions rates for the target population. “We use VitreosHealth insights to fuel our Care Management (CM) programs and have reduced the ‘per member per month’ (PMPM) cost for the target population by six percent and decreased emergency admissions by 18 percent,” explains David Thompson, COO, GlobalHealth. Based in Plano, TX VitreousHealth offers adaptive IaaS for Population Health Management (PHM) to deliver meaningful outcomes. As a provider of advanced health analytics using Big Data, VitreousHealth leverages the broadest set of data sources including EHR, claims, HRAs, and patient demographics and socio-economic data for predictive risk and prescriptive CM. With VitreousHealth’s healthcare analytics, organizations are able to lower healthcare costs, reduce emergency visits, and improve patient care. “We arm our clients with specific insights based on big data with predictive and prescriptive capacity. This way, they can analyze the patient groups that need care, know the type of care needed, and when to provide it,” says Jay Reddy, CEO, VitreousHealth. VitreousHealth’s solution is broadly designed for payers and providers—Accountable Care Organizations (ACO), Patient Centered Medical Homes (PCMH), and Hospital Systems (HS). To address the issues faced by ACOs, VitreosHealth has built next-generation Population Health Predictive Models (PHPM) in partnership with physicians and clinicians over the last four years. These models help in benchmarking a population’s latest State-of-Health (SOH) by chronic conditions, compliance to best practices, prior patient utilization trends, and socio-economic factors. This approach systematically peels-off the factors that drive the high risk of hospitalization and helps in designing effective CM programs. “Today, we have built in excess of 20 models for chronic diseases and healthcare issues covering most of the high frequency and cost disease conditions and continue to add more,” says Reddy. For their clients, often the patient data comes from multiple financial, clinical, and quality systems. It is unstructured, not normalized, and not linked or classified. This makes predictive risk modeling and cost as well as quality at episode-of-care level very difficult and expensive. VitreosHealth’s SOH model provides actionable insights and measurable information with visibility of controllable and non-controllable factors as a starting benchmark. The SOH model uses patient age, gender, ethnicity, family history, all clinical factors, and co-morbidities, to calculate an accurate SOH score for the entire population.